If your dog has skin problems, a therapeutic grade probiotic can often work wonders in restoring his system to normal. What are the best probiotics to help with dog skin allergies? Chronic dog skin problems and dog allergy issues can make your pet miserable and cost a small fortune to treat, often without lasting success. 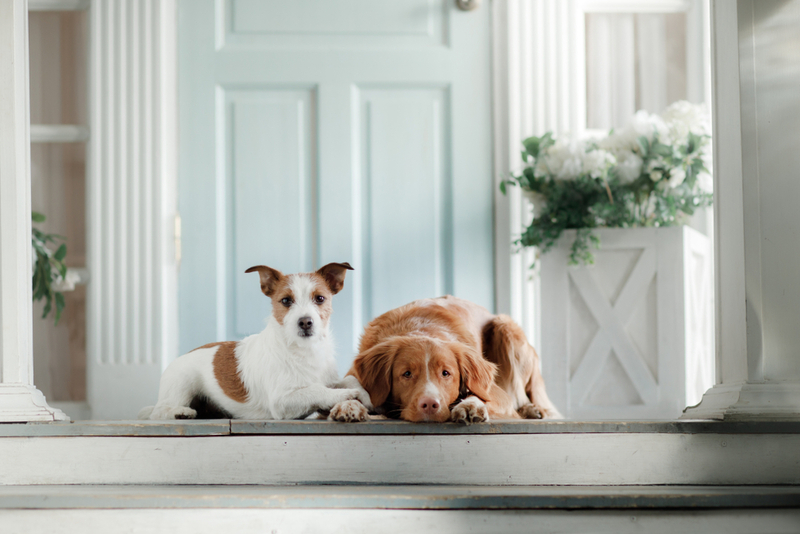 Before you give up in despair why not try probiotics and making a few key changes in your dog’s routine that might surprise you and keep you from having to resort to pharmaceuticals like Apoquel and it’s scary side effects. The number one reason for visits to the veterinarian (over 40%) and one of the hardest to help pets with, are skin and coat problems. Hot spots, allergies, dermatitis are becoming more and more common and can result in a dog that drives herself (and you) crazy with non-stop scratching, itching and excess shedding. Our flagship probiotic blend for dogs along with our Probiotic Dog Essentials are two of the best probiotics for pets on the market. STEP #1. A high dose probiotic promotes a healthy coat and skin in dogs by helping heal the digestive system, healthy coat begins in the gut. Probiotics can make a vast difference in dog skin health. Therapeutic dose probiotics (high in CFUs and containing numerous dog beneficial strains) are vital if you want to see a change in your dog’s coat condition. Probiotics can help eliminate food allergies, a common cause of dog skin problems by improving digestion and balancing the bad bacteria in the gut and helping your dog’s body fight those pathogens by increasing the colonies of good bacteria in her digestive tract. 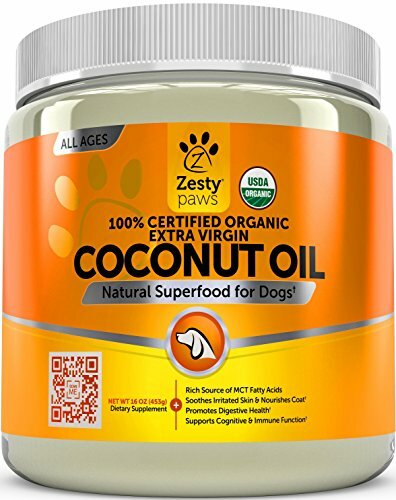 I don’t recommend a lot of other products, obviously, I’m passionate about our own brand, but I love this product by Zesty Paws. From the over 2000 4+ star reviews on Amazon, so do other dog owners seeking relief for their allergy-prone dogs. A nice combination of Colostrum, licorice and salmon oil with the addition of Epicor fermentate, an ingredient I’m particularly interested in as human trials are showing that it substantially improves beneficial gut bacteria. 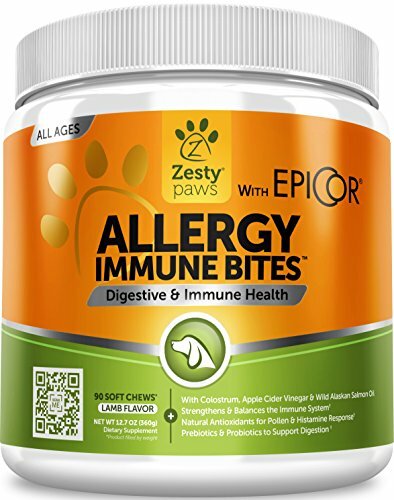 Another favorite of mine from Zesty Paws (I love recommending great products even if we didn’t manufacture them, pet supplement brands need to support the good guys in this field filled with cheap and inferior products!). Adding Omega 6 fatty acids like Coconut Oil can help moisturize and soothe irritated and dry coat from the inside. Start with a 1/4 teaspoon per day for small dogs, a teaspoon to a tablespoon for the larger canines.